AnnMaree Christian has turned her passion for helping people to deal with injury, illness and ageing into a growing regional business. Rutherglen Physiotherapy services allow clients to continue doing what they enjoy. They include general physiotherapy, pain management and rehabilitation following injury, illness, or surgery. AnnMaree also supports older residents who want to remain at home and people in hospitals and residential aged care. Clients are mostly local, but some are from across the border in NSW. With 25 years’ experience in the health care industry, AnnMaree started Rutherglen Physiotherapy in 2011. She has prior business experience in hospitality and farming and wanted a flexible operation with a good work-life balance. AnnMaree, who lives locally and combines clinic appointments with home visits to clients in small towns across the region, is known for her flexibility and goal-orientated approach. While her business had good potential, she wanted to enhance it with advice from a mentor after a friend recommended SBMS. AnnMaree chose to work with SBMS mentor Sue Gold, who has a wealth of experience in business strategy, operational planning and implementation, professional and staff development, project management and continuous improvement. AnnMaree had four sessions with Sue over a 12-month period and mentoring is continuing. 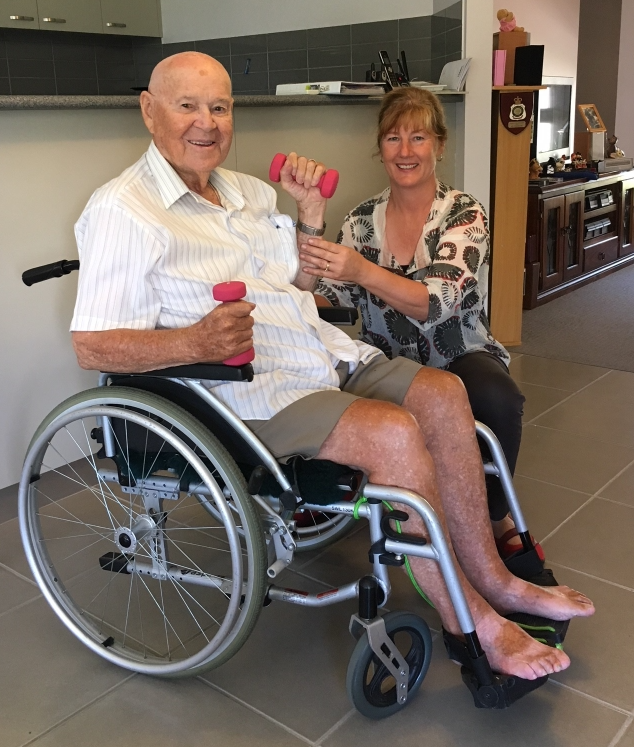 They focussed on developing solid foundations to enable AnnMaree to grow the business, increase profitability and eventually engage administrative support staff and physiotherapists. Since seeing Sue, profitability has improved and AnnMaree has a much greater understanding of options to support business operations. She has implemented new systems, especially IT, and improved her online promotion by investigating a website, Google My Business and Facebook. AnnMaree is still a sole trader but hopes to build a base of therapists to cover her leave and extra work as the business grows. She says that without Sue it would still be growing, but she would be “much more stressed and questioning whether I was making the right decisions”. “I would also have been concentrating on areas that may not have been my greatest priority for the time,” AnnMaree says. “One of the most helpful concepts Sue has introduced me to is applying the concept of free/simple/complex to my relatively small business. Sue also gave AnnMaree “wonderful assistance” in consolidating and steering her business. “While the direction remains the same, I am much clearer with a process of how to get there,” AnnMaree says. “One of the most valuable processes for me has been the feeling of having another person on the business team who cares that your business is a success. As a sole trader, AnnMaree says having this support to explore and prioritise ideas is valuable, as she can focus on the clinical aspect, while Sue reviews the business side. “Some of the digital systems that I have now in place have freed up a lot of time for me and I now feel that I am at a place where I can focus on further business growth and am enjoying a much better work/life balance,” AnnMaree says.